Take a closer look at our log home packages and you'll find the one that is right for your needs. 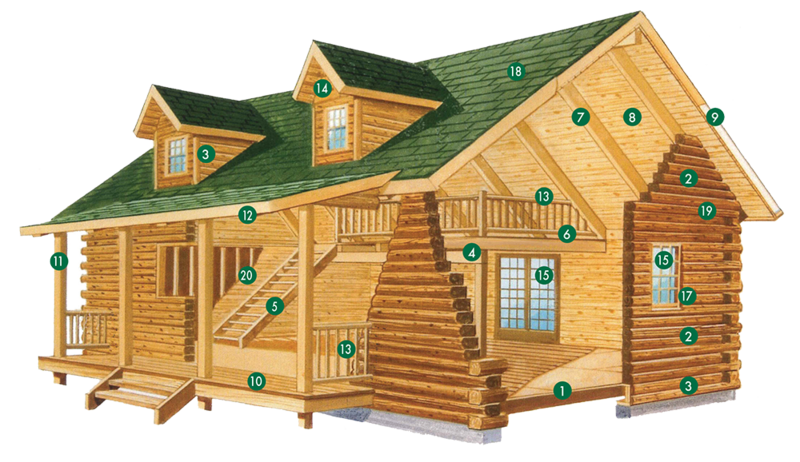 Our "Deluxe Package" features our log, post & beam sytem while our "Premier Package" features our premium log, post & beam system. Note: Our experenced builders can help you select items not included, such as the floor covering, lighting, cabinetry, plumbing, and H/V. Our flexible operation enables you to customize your package by submitting items to fit your individual needs. Miscellaneous - Closet rods, shelves, door knobs, hardware. Caulking, gasket and fasteners for all material.